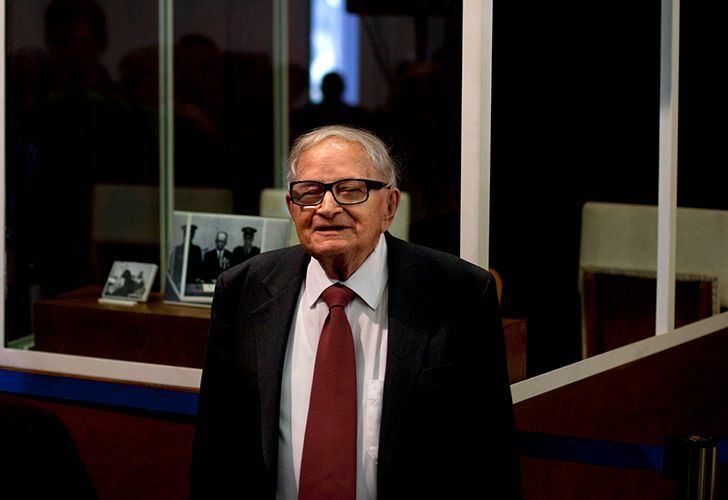 Spy who led the capture of Holocaust mastermind Adolf Eichmann in Buenos Aires died Saturday. He was 92. Eitan was one of the founders of Israel's vaunted intelligence community and among its most prominent figures in Israel and abroad. "Rafi was among the heroes of the intelligence services of the State of Israel on countless missions on behalf of the security of Israel," said Prime Minister Benjamin Netanyahu. "His wisdom, wit and commitment to the people of Israel and our state were without peer." The 1960 operation to capture Eichmann in Argentina and bring him to trial in Jerusalem was the Mossad's most historic mission and remains one of the defining episodes in Israel's history. 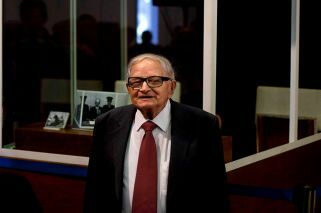 His trial brought to life the horrors of the Nazi "Final Solution," which followed Eichmann's blueprint for liquidating the entire Jewish population of Europe. Eichmann was convicted in 1961 of war crimes and crimes against humanity. He was hanged the following year — the only time Israel has carried out a death sentence. Known as the "architect of the Holocaust" for his role in coordinating the Nazi genocide policy, Eichmann fled Germany after World War II and assumed the name Ricardo Klement in Argentina. Eitan, who headed the seven-man team on the ground, grabbed Eichmann on the way back to his Buenos Aires home, shoved him into a car and spirited him to a safe house. In the back seat of the car, one agent shoved a gloved hand inside Eichmann's mouth in case he had a cyanide pill hidden in a tooth, as some former top Nazis were known to have to foil their capture. Eitan identified Eichmann by searching his body for distinctive scars on his arm and stomach. "And once I felt it I was convinced. This is the man — we got Eichmann," he recalled years later. Mossad Director Yossi Cohen said the majority of Eitan's exploits still remain unknown to the general public. "His work and his actions will be etched in gold letters in the annals of the state," Cohen said in a special statement Saturday. "The foundations that Rafi laid in the first years of the state are a significant layer in the activities of the Mossad even today." Eitan's reputation took a hit in the 1980s for his handling of Jonathan Pollard, a civilian intelligence analyst for the US Navy, who sold military secrets to Israel while working at the Pentagon. Pollard was arrested in 1985 and pleaded guilty, in an espionage affair that embarrassed Israel and severely tarnished its relations with the United States. He went into business and later in life entered politics and scored an election sensation in 2006 as head of the Pensioners Party, garnering seven seats in the 120-seat Parliament and becoming a Cabinet minister in Ehud Olmert's government. The short and stocky Eitan was easily recognisable by his mop of white hair and his thick, large framed eyeglasses. Eitan, a longtime friend of Ariel Sharon, began his career fighting in the Palmach pre-state army, where he was wounded in battle and became partially deaf. It was then he also earned his nickname, "Stinky Rafi," after hiding in a pit of sewage while on a mission. Sharon continued to affectionately call him "the Stinker" for the next half century.